Tribal Outreach Medical Assistance (TOMA ) is a non-profit humanitarian charity that provides medical assistance to indigenous populations in Colombia. We are a small group of volunteers that are dedicated to improving the lives of others who have so little. We have no administrative costs and do not receive compensation for our time or efforts so your donations go directly to those in need. Our primary goal is to provide highly cost effective, low frills medical interventions: Childhood vaccines; solar power to refrigerate vaccines, wells for clean drinking water. We provide additional medical advice and assistance as deemed necessary in selected communities. 1. 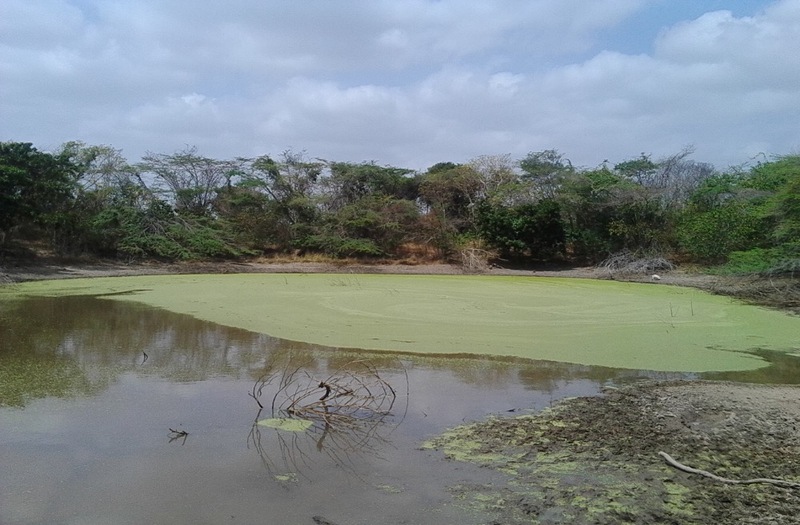 Clean water for the Wayuu tribe: The Wayuu tribe has been severely affected by the devastating effects of a six-year drought and up-river industrial over-utilization of surface water that they have relied upon for generations. The Wayuu tribal people live in small villages scattered throughout a very hostile desert environment in the northeast corner of Colombia. They lack water for consumption, for bathing and for their goats and crops. This has caused significant suffering and loss of life. We have purchased a human powered drill (The Village Drill - click for link ) that can be transported by truck or mule to multiple communities to drill wells for water. 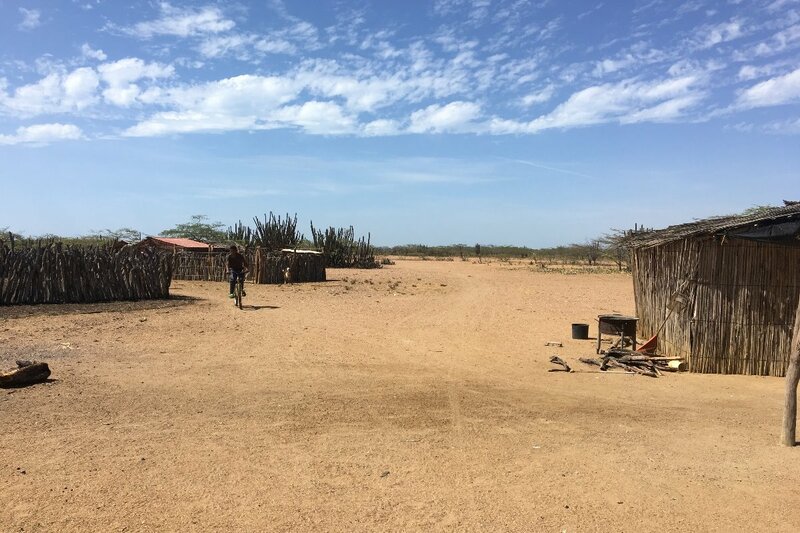 The plan for 2019 is to work for 10 days with the Wayuu tribal health group to install two wells for the villages we identified in 2018 as in the most severe need. In the future we intend to start a clean water program drilling multiple wells each year, hopefully getting local residents to assist and drill wells even in our absence. We have spent months working with customs brokers in Colombia to provide the required documentation to import our drill and have had to reschedule our November 2018 trip until March 2019 due to these delays. One of our representatives will visit Colombia in January to assist with this process. 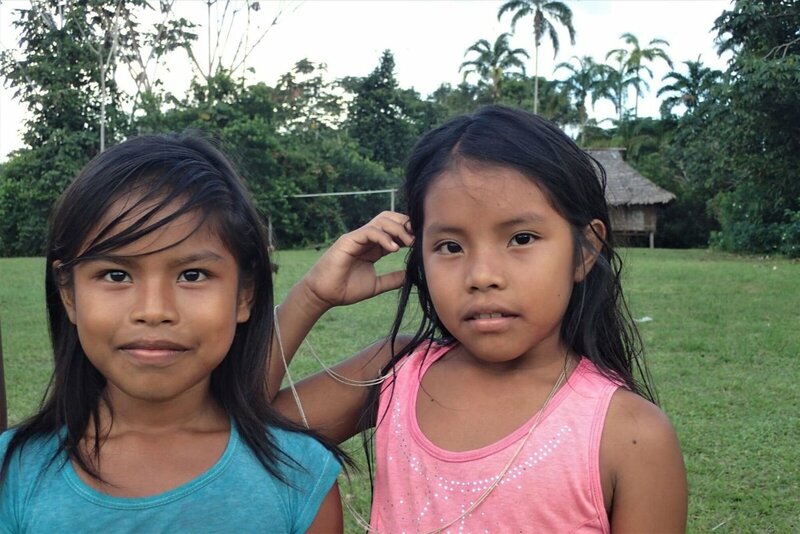 In June TOMA (John Walden, MD) participated in a survey and needs analysis of the current state of health care delivery for approximately 1,000 tribesmen inhabiting 200 miles of navigable waterway along the remote Mirití-Paraná River Basin in southeastern Colombia. The trip confirmed that there is no functioning infrastructure of facilities and trained personnel capable of providing even basic services throughout the region, including vaccination of children. 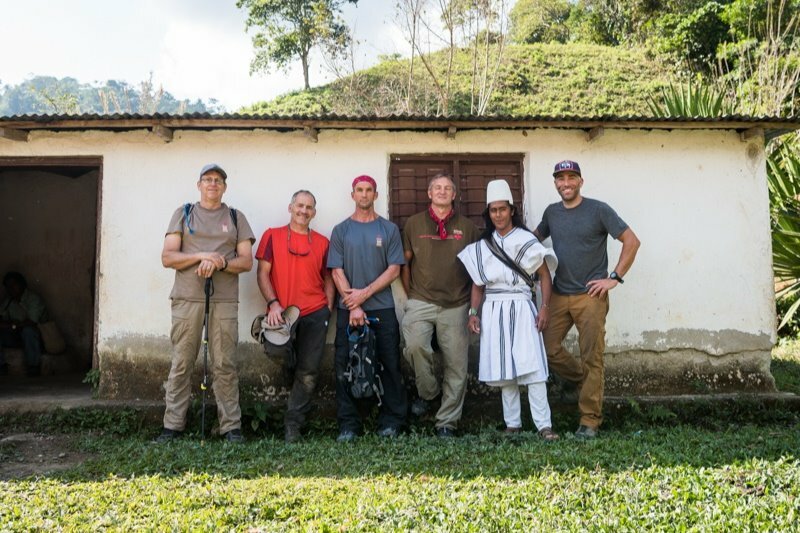 TOMA will be exploring partnering with the GAIA Foundation, an internationally acclaimed NGO based in Bogotá and the Colombian Ministry of Health to assist in providing medical, dental, educational and solar assistance for this at-risk population. One of the most urgent needs in the region is communication between the key tribal communities. There are only two existing 2 way ICOM radios, both requiring repair plus energy sources (solar and batteries). 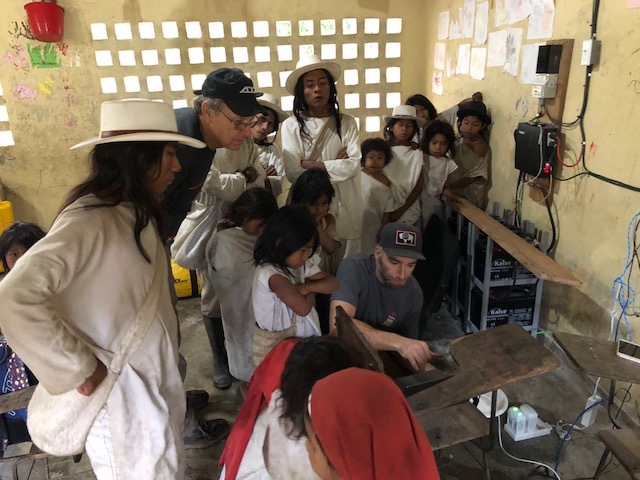 Eric Winslow, TOMA’s solar and electrical engineer, will join Dr. Walden back into the Amazonas in January 2019 to repair their equipment, install solar charging equipment and battery supplies and provide another two radios so that the entire river will be connected to improve healthcare. They will also evaluate the needs in other communities in the area. The trip will involve three flights and two days of river travel just to reach the first village. As TOMA enters our 22nd year we again express our gratitude to each of you that have contributed to improving the quality of life and saving many lives in Colombia, Venezuela and Brazil. We encourage you to visit our website at www.tomatribaloutreach.org for more details about the projects we’ve completed over the past 22 years. During our March trip, TOMA put into action the next phase of our humanitarian work in Colombia. After installing the solar systems we journeyed to Rioacha, a city on the northeast coast to meet with Unidad Medica Wayuu Anouta Wakuaipa IPS. This tribal health organization works with the Wayuu tribe in the Guajira, a very arid region in NE Colombia. 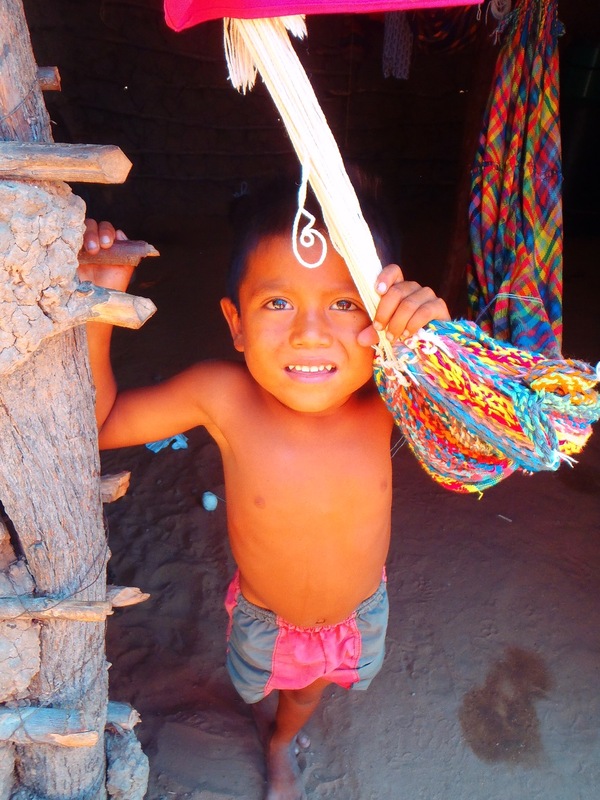 The Wayuu tribe has a population of approximately 400,000 in Colombia. 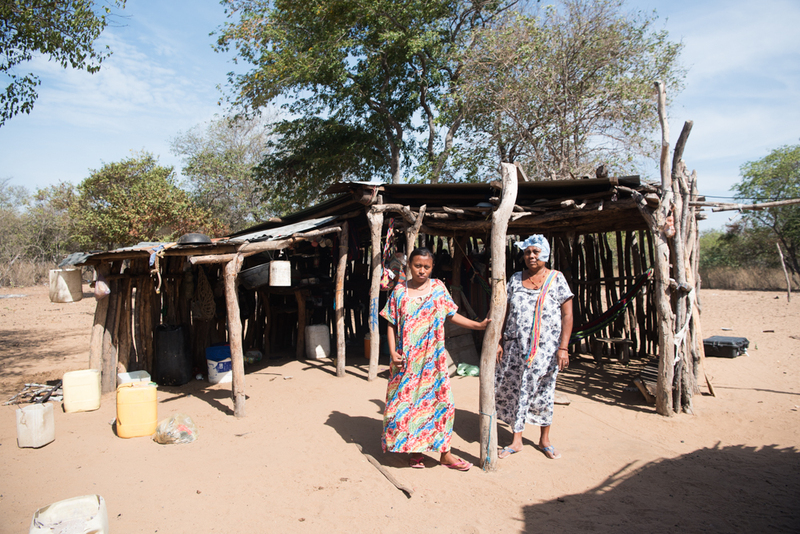 Due to extreme drought and other circumstances this community has essentially lost its water source. This has created a very desperate situation for the people. Many of their crops and animals have perished and child mortality is extreme. We visited several villages near Rioacha to meet some of the people and scout potential locations for wells. Our initial finding is positive as we identified three sites with available groundwater. On Monday March 5, 2018 we departed Santa Marta, Colombia destined for a region new to TOMA. 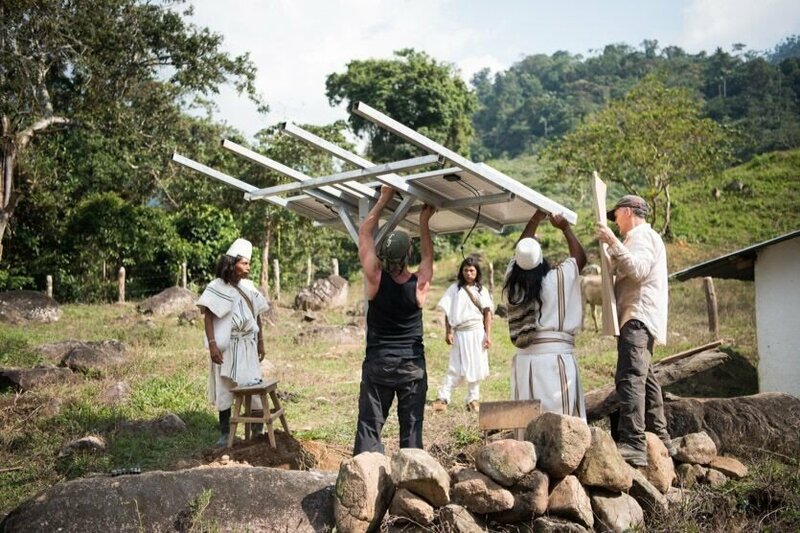 On this visit our mission would be to install two solar systems for the village health posts and schools in Guamaka and Naranjal, two Wiwa communities on the southeastern slopes of the Sierra Nevada de Santa Marta Mountains. 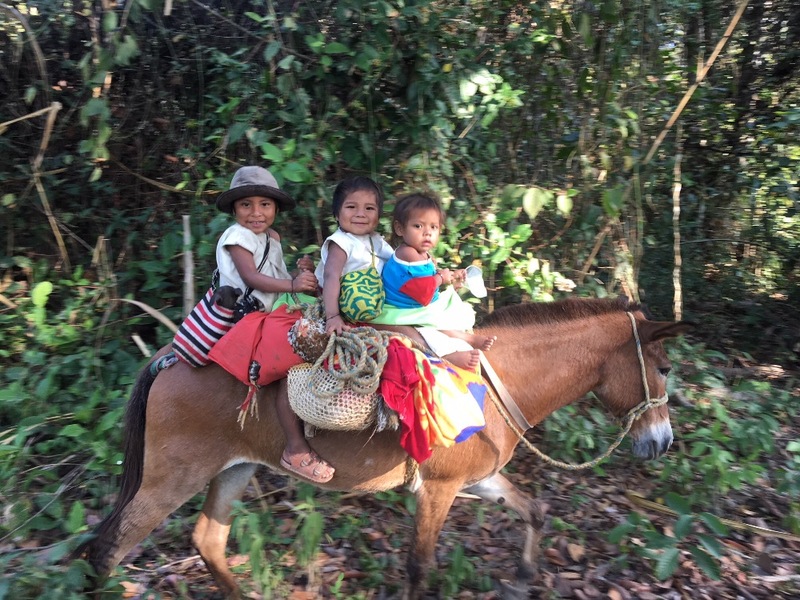 The Wiwa tribe is closely related with the Arhuaco culture and is also part of the Gonawindua Ette Ennaka(IPS) tribal health administration that enables and encourages TOMA’s projects. After a long hot day of travel over washboard dusty roads, packed tightly into the Toyota 4X4, we arrived at our first stop at the end of the road leading to Guamaka. We immediately set to work and within one full day of work were able to complete the installation of our system inside their schoolroom and health center. To our delight we also had the opportunity to observe many of the children doing their schoolwork. As soon as the power was available the classroom was illuminated with the LED bulbs we installed. Seeing the immediate impact of our technology is quite moving and a great reminder of why this work is so important! On Wednesday March 7, with the success of our first installation complete, we returned to our vehicles at the trailhead and started our drive to Naranjal. This involved a very long day of rough roads leading deep into the mountainous terrain. It is difficult to convey how far removed some of these communities are from civilization. It is never easy for our team to endure this travel but once we arrive to a site the weariness of the trip gives way to excitement for the job ahead. On the following morning at first light we set to work in the health center of Naranjal. This will ensure that the technology continues to convert solar energy into improving life for these communities for many years to come. Like our first installation this day’s work went extremely efficiently as our team pulled together and got the job done in record time. That speaks to two important factors, the first being the experience and collaboration of the team and most importantly the simplicity of TOMA engineer Eric Winslow’s solar system design. It cannot be overstated how complex this type of technology can be to operate in such extreme conditions. This designates that any system being installed in this type of application must be durable and dependable.Eric’s design has now been proven over the last 8 years and again with our 11th and 12th installations on this past expedition. IPS has reported that all systems are functioning properly. A wonderful new development is that TOMA and IPS have arranged for our local TOMA team member Yarnel to periodically visit our systems to ensure everything continues to operate properly. This will ensure that the technology continues to convert solar energy into improving life for these communities for many years to come. Tribal Outreach Medical Assistance help cannot come soon enough and TOMA is working hard to continue to bring aid to these rural communities. Through the generosity of our supporters we have acquired a well drilling system designed for use in remote areas. In November our team will return to the Guajira and begin the water projects which have been delayed due to various setbacks. We look forward to this next phase of our mission and are very grateful to everyone who supports our work. 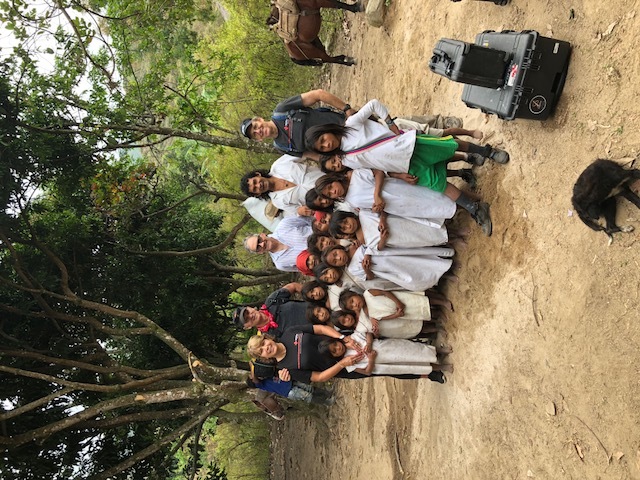 The TOMA team arrived in Santa Marta on March 2nd with the plan to install two solar systems for the health posts and schools in the Wiwa villages of Guamaka and Guikumake. 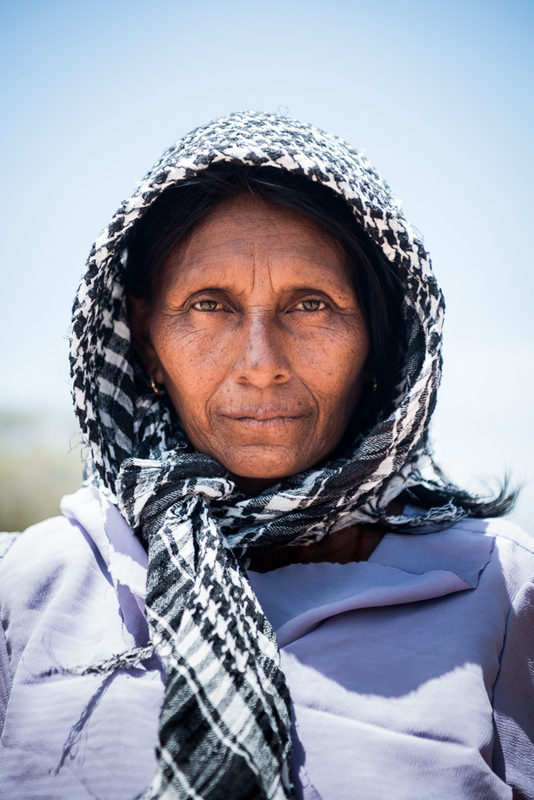 These communities are in the Guajira region of Colombia which is a combination of desert and mountains. After driving 8 hours on washboard roads and a 3 hour mountain hike we arrived in Guamaka, a large Wiwa village of 600+ people. The solar system was installed within a day and provided electricity for the tribal health center and grade school. The next day we continued on to Guikumake and installed their solar system as well. One of the key objectives for our trip was to drill a well for the Wayuu tribe in the Guajira, the most arid and impoverished region in Colombia. 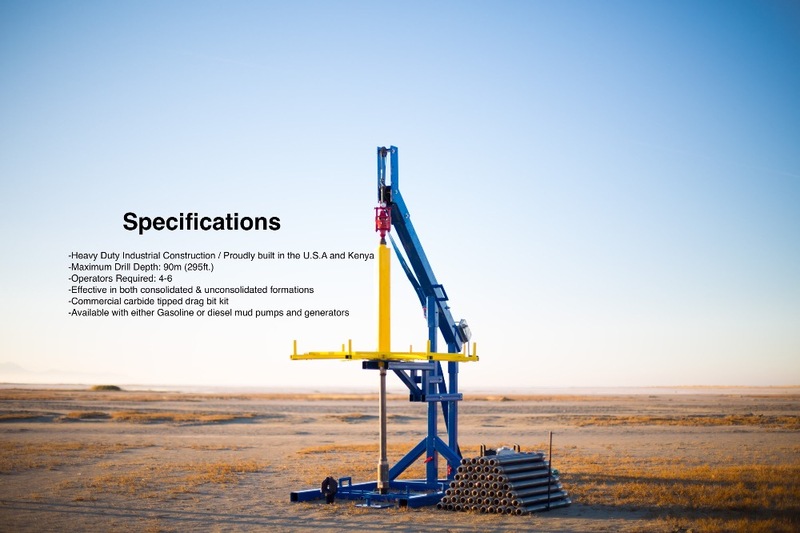 Our drilling equipment had been shipped to Miami awaiting the approval to import into Colombia. A month before our trip we were notified that the documents would not be ready in time to import and clear customs. A decision was made to return to Colombia in November specifically to drill a minimum of two wells for the neediest Wayuu villages. 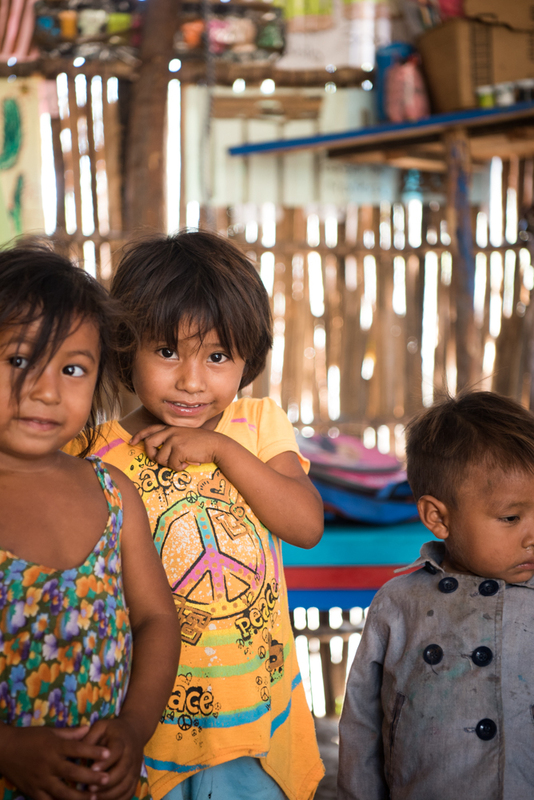 We appreciate each one of you that see value in our efforts to improve the health of tribal people in Colombia. We trust you will continue to support TOMA’s clean water projects as well as our solar programs to provide energy for vaccine refrigeration as well as dental and medical care. Wow, we are on the path to reaching our goal in only a few days of fundraising! The crew is going to Columbia in Febrary, 2018. This will be the first application of the Village Drill in South America. Please assist us in getting this crucial life-saving and life-improving technology to the endangered Wayuu people of northern Colombia.